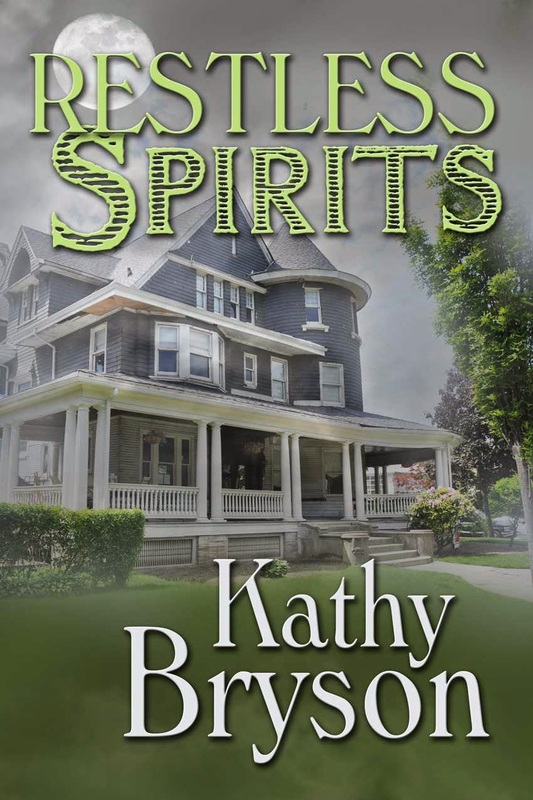 Restless Spirits had me cracking up at the start. Marilee is in the car with her mom and their conversation is SOO my mom and I. Mom doing what mom’s do and saying that you have “that tone” when there isn’t one. The rest of the book follows along with this mother and daughter relationship. Marilee gets a new job managing a bed and breakfast that has yet to open while it is being converted from an old hospital. Marilee’s mom comes along for the ride and continues to help out with the inn and the redecorating. Marilee must keep everyone and expenses under control while everyone is just doing their own thing. Marilee and her boss John start a relationship, but they don’t define it as a relationship until towards the end. They are trying to fool themselves, but everyone else knows better. The menagerie of characters that come to work and live at the inn are great! There is even Elvis the cook. There is a big play on the Shakespeare works of the Tempest with everyone quoting it and insisting that Marilee read it as well. Marilee is surprised to find the support of the town when things start to get weird. That’s when we learn that Shakespeare knew and wrote about the Fey and that they really do exist. And that’s just one more thing that Marilee has to deal with. This was a light hearted read and one that I can’t wait for the next one to see more of the characters and Fey. I really enjoyed the flower scene at the end.